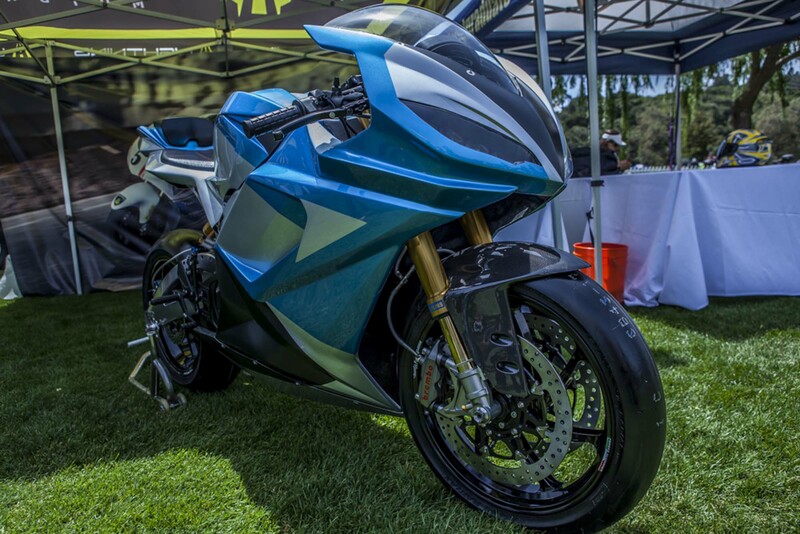 As we reported here just a few days ago, Lightning Motorcycles announced its release of the new LS-218 electric superbike, along with plans to preview it at this year’s Quail Motorcycle Gathering. While the photos then were rough, we got a general idea of what the Lightning LS-218 was supposed to look like at its California debut. Taking the wraps off at the Quail Lodge in Carmel, California, Lightning showed up to the gathering this weekend with what they are calling a nearly finished version of the LS-218. The first thing that stands out about this bike, as many onlookers noted, was that it looks very much like its petrol-powered cousins, thanks to the gorgeous design by Glynn Kerr. 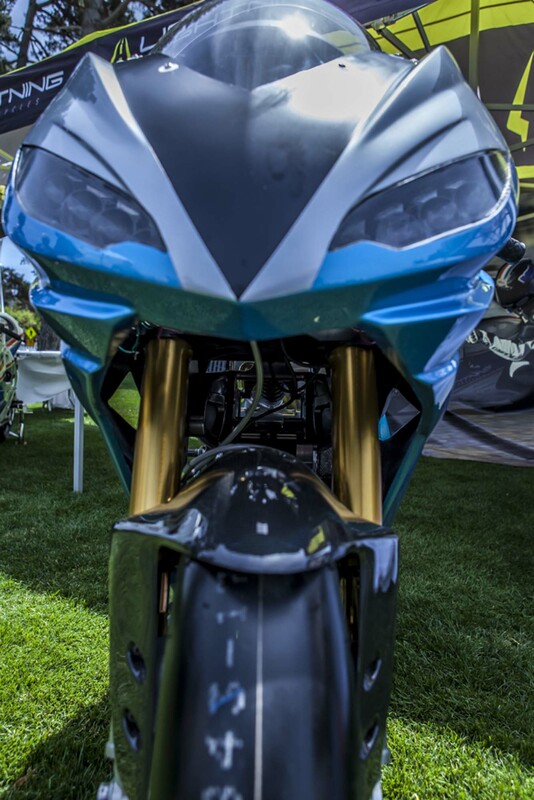 The bright blue metallic paint, contrasted by the brass colored Öhlins dampers and big Brembo brakes, really make for an eye-catching piece of machinery. What’s more, Lightning claims that this street-legal version of their race bike produces in excess of 200hp and 168lb-ft of torque, but is it enough to live up to the claims? According to Lightning Motorcycles CEO Richard Hatfield, the company is dedicated to continuing its work and setting higher goals. “It is time for Lightning to take this race proven technology to market and pursue our win in the market place,” he said. 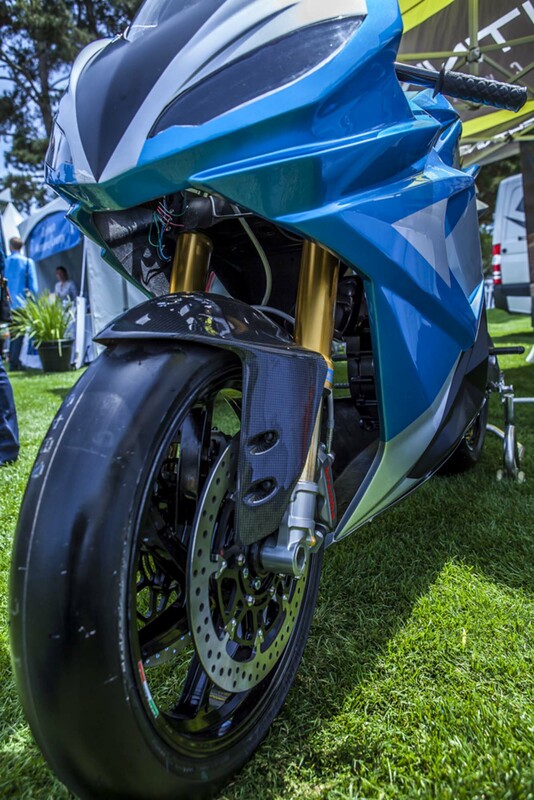 Although the previous Lightning superbike does boast some impressive accomplishments, setting a land speed record of 215.907 in 2011 and winning Pike’s Peak last year, until road tests are performed there is no guarantee that the consumer version will live up to the pedigree of its racing counterpart. Although the Lightning Motorcycles tent drew large crowds of onlookers, sadly there were no tests of its capabilities to be had. 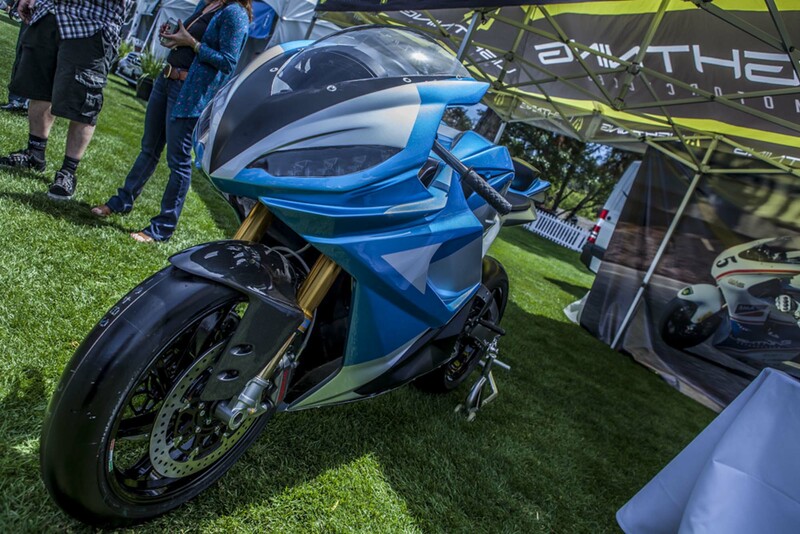 We guess we will just have to wait until the product launch, which is scheduled for Summer 2014.